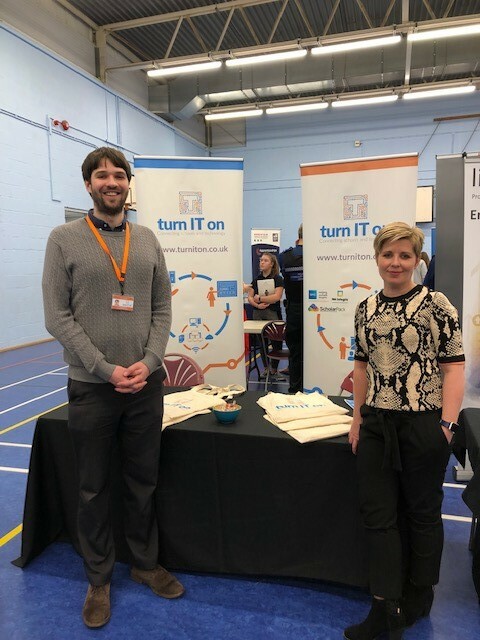 Last night Rachael Walsh-Grant from our HR team and Tom Magawly, Oxfordshire Team Manager attended the Apprentice Fair at The Marlborough School, Woodstock. The event was organised by the West Oxfordshire Learning Partnership and was aimed at Year 11 and Sixth formers. Turn IT on were one of 45 stands exhibiting at the event giving pupils from across West Oxfordshire an opportunity to see a number of organisations who offer apprenticeships across Oxfordshire. This was the first event of this type we have attended and it gave us a great opportunity to meet and speak with students who are considering their futures and hopefully will consider turn IT on as the ideal company to start their career in IT. 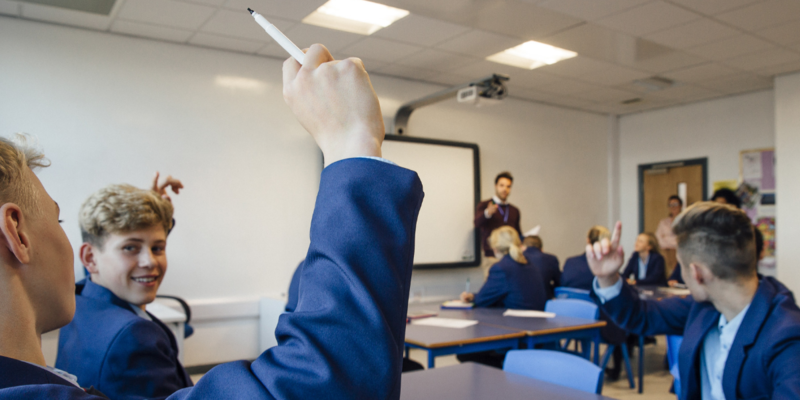 An Apprentice ICT Consultant at turn IT on is the first port of call for their assigned school’s ICT needs and is responsible for helping ensure that schools improve the standard of their ICT provisions and are able to deliver effective teaching and learning through ICT solutions. If you are interested in finding out more about an apprenticeship with turn IT on please visit the QA website to find out more.